Scandinavia as a region is not known for being cheap, and Stockholm is supposedly one of the most expensive cities in Europe. It was an unsettling thought – the progressive price increases hadn’t let up since I left Thailand. However, Susanna had assured me I’d only really need two days each per city to the see the best bits of both Stockholm and Copenhagen, so I could take small comfort in the fact my time in this expensive area would be relatively brief. Aside from being expensive, Stockholm was also renowned for being a beautiful city – both in its physical aesthetic, and the people who lived inside it. “Stockholm is such a fashionable city,” Susanna had told me in our discussion about my future travels. “Everyone there is just incredibly good-looking and so well dressed. I swear, if you lived there you would have to spend nearly your whole paycheque on clothes just to keep up with the fashion.” From what I’d seen of Swedish men during my time in Australia, I can’t deny I was more than a little excited to be entering this supposed treasure trove of eye candy. Unlike the trip over from Helsinki, navigating the Stockholm upon my arrival was not such smooth sailing. From the map in my guide book I could see that the port was a fair way out from the main city. 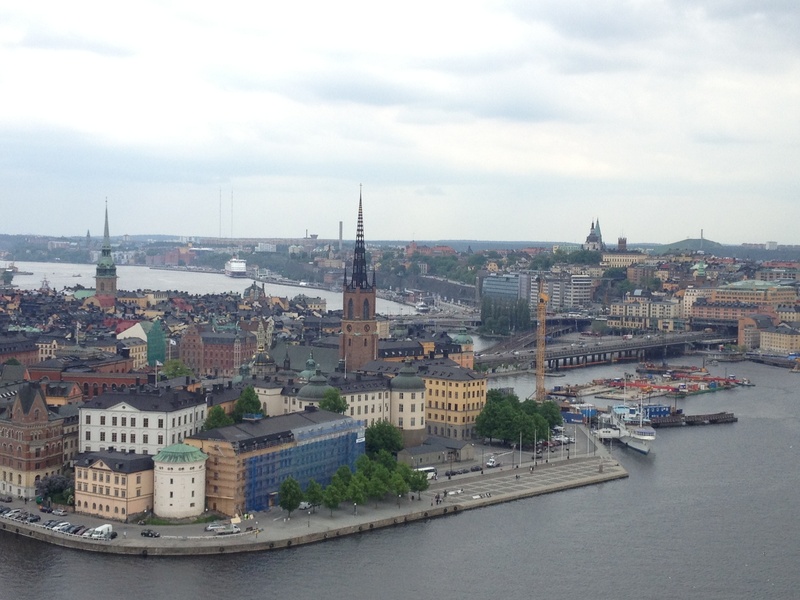 Actually, that’s only half true – I could very easily see the city and the part of Stockholm I was trying to get to. As the crow flies it would have been a relatively short walk. The problem was that it was across a huge gulf in the river that ran through the city. Later, a local would tell me that Stockholm is known as the Venice of Scandinavia – I hadn’t heard the term before, but by the end of my stay I certainly believed it. Unfamiliar with the public transport system that didn’t even really seem to come down this far in the first place, I was forced to catch a taxi. I asked for the meter – he said there was traffic, and offered me a price that would supposedly be better. He asked for it Swedish Krona – I only had Euros. It was a complicated exchange that didn’t even seem to be helped by the fact he spoke English, but in the end I think the price was fairly decent. I tried not to think about it to much – You’re in Stockholm now, I said to myself. It’s not going to get any cheaper than that. During my time in Helsinki, I had attempted to search for Scandinavian hosts in Sweden and Denmark, so far to no avail. 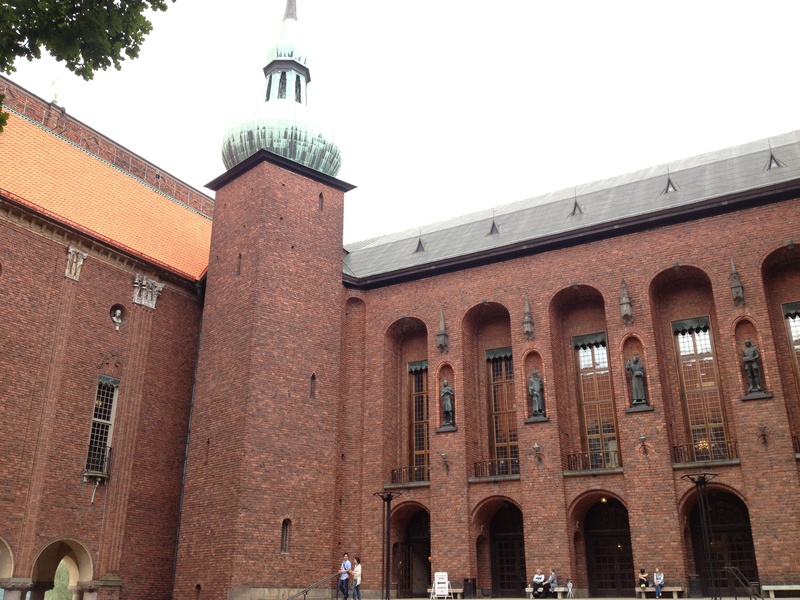 While I was still desperately clinging to the hope of finding a host in Copenhagen, I resigned to the fact that I would also be paying for accommodation in this beautiful, expensive city. I arrived at the hostel without a reservation, hoping for the best. The hostel had a nautical theme, and a large number of the beds were located in cabin dorms, inside a renovated ship docked out the front in the river. Lucky, they still had room in the 17 bed dorm, located on solid ground and considerably cheaper. Check in wasn’t until 3pm though, so I used the shower, dropped off my bags in luggage storage and set out to explore the city. Stockholm lived up the expectations. Everyone just looked so good. Even people who weren’t conventionally attractive were so well dressed that walking down the streets felt like being an extra on a TV show or movie where the detail in every single background character had been so meticulously planned. The fact that I had been wearing the same tired clothes and repeated outfits for nearly two months didn’t do wonders for my self esteem, and a mild paranoia kicked in where I felt as though just being there was letting the city down, and lowering its standards. The ship that was actually part of my hostel. Like most cities in Europe, Stockholm had a travellers pass, the ‘Stockholm card’, that you could buy which provided you with either free or discounted entry to many of the city’s attractions, and free unlimited use of the citywide public transport. At first this excited me – regular readers will know how excited I get about good public transport – but further investigation revealed that Stockholm as a city didn’t really have that much public transport. In fact, it just wasn’t a very big city. There were also other passes that gave you access to public bike stands around the city – you swipe the card, the bike rack unlocks a bike, and you can ride it anywhere so long as you return it to another stand somewhere in the city within three hours. However, all these options were only really of any value if you were there for at least 3 or 4 days – the bike pass itself came for a minimum of three days. Given I was only staying for a maximum of two nights, it hardly seemed worth it. I wasn’t planning on visiting a huge number of museums, and I wouldn’t be straying too far from the city centre, which was near enough to my hostel. 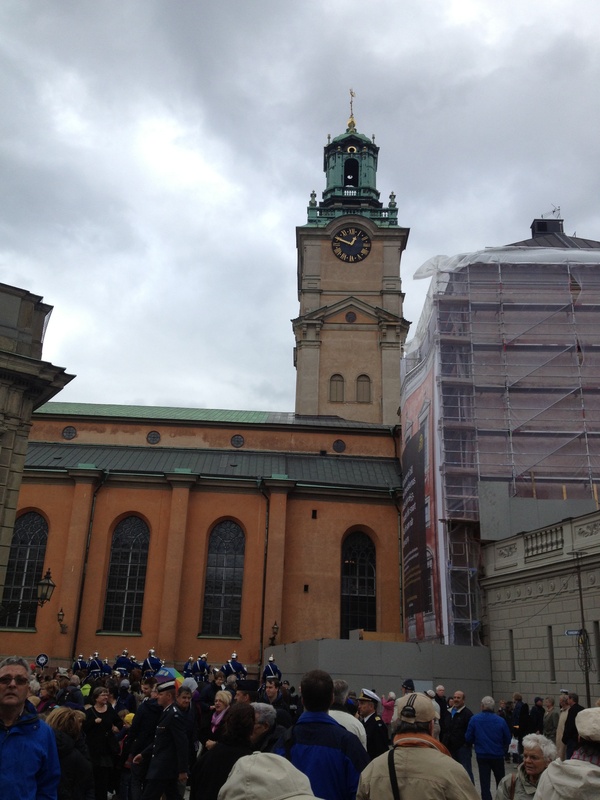 And so began my extensive walking tour of Stockholm. Traversing the city by foot was actually a great way to see the city, in my opinion. With the exception of the Gamla Stan area, whose streets mirrored olden days of the 12th Century, there was a quaint, modern beauty to the streets of Stockholm. Clean, refined and operating like a well-oiled machine, it fit the model of typical Scandinavian efficiency that they were generally well known for. Crossing the road was easy because the cars drove slow and steady, but once again locals seemed reluctant to even contemplate jaywalking. I visited a few of what appeared to be the major sights – I honestly didn’t know that much about Stockholm, and had never heard of any ‘must see’ attractions. 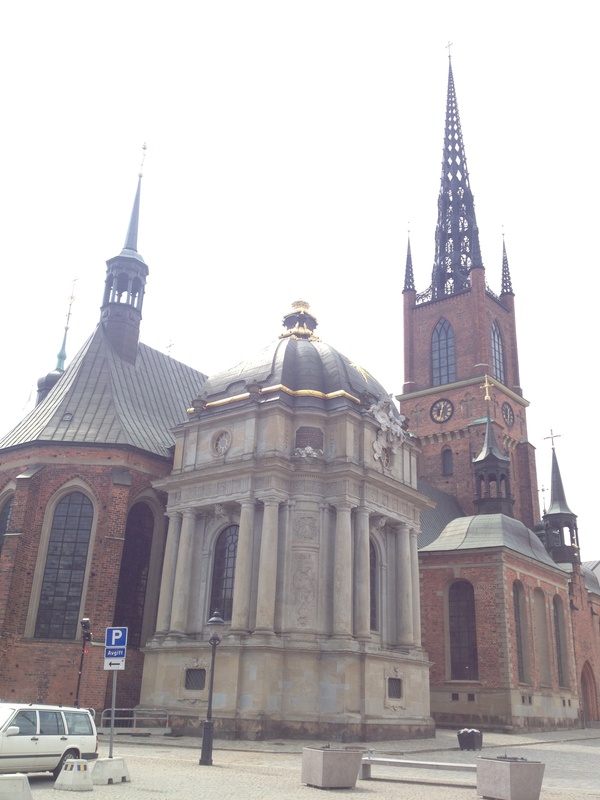 There was the Riddarholmen Church, a beautiful old building that was home to a large number of tombs, mostly containing nobility from Swedish royal houses. After that was the City Hall, which included a huge tower that provided 360 degree views of the surrounding city. When I went to buy a ticket to go up, the attendant gave me a warning. “The elevator is broken today, so you’ll have to climb the stairs the whole way.” I couldn’t help but laugh – the building looked so old I hadn’t even expected it to even have an elevator. I’d been climbing up the steps of every attraction from the Great Wall of China to St Isaacs Cathedral, and a took a moment to think of Kaylah as I assured the woman that I would be fine with the stairs. It would have been she had wanted. 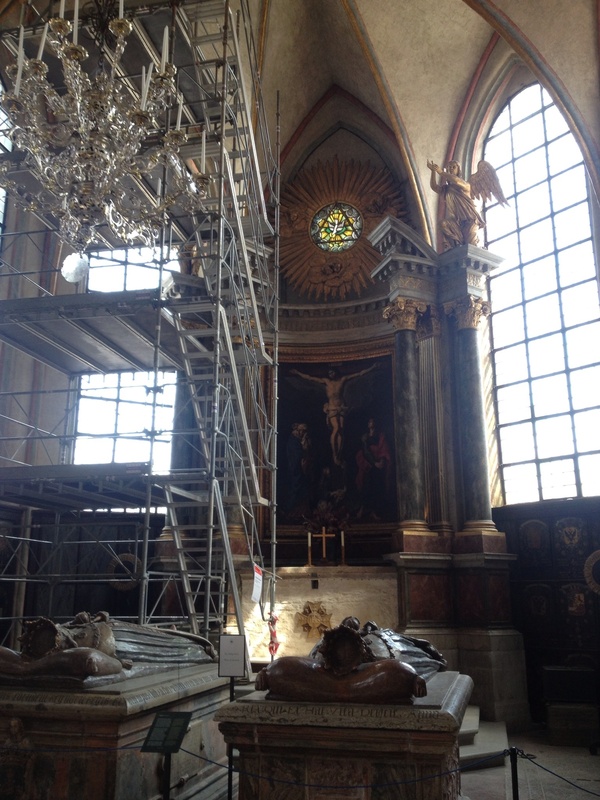 The interior of Riddarholmen church – complete with token scaffolding. City Hall and the tower that I climbed. There were a lot of stairs though – the upper reaches of the tower, where the elevator didn’t go, was a narrow red brick hallway with a pointed ceiling, which went around and around and around and around and around and around and around and around to the point where I thought that I was trapped in some kind of magicians trick and I was going to end up at the bottom of the tower without ever having emerged at the top. I finally reached the summit though, and it was definitely worth the hike. The panoramic view gave me a better understanding of the city’s layout: the different islands and peninsulas it was composed of; the wide river and multiple canals that divided them up; the obvious architectural distinctions between the old city and the newer parts of Stockholm. It was a cold and windy day, but I stayed up there for quite a while drinking in the sight. Unlike St Petersburg, Stockholm was a city that was quite beautiful from both the street level and from an aerial perspective. 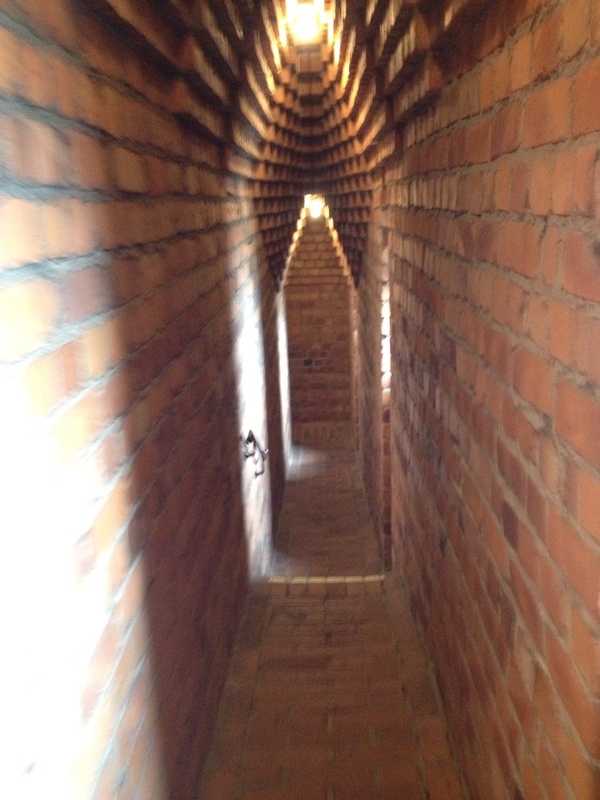 The narrow, never ending staircase. The view from the top provided sweeping panoramic views of the city. 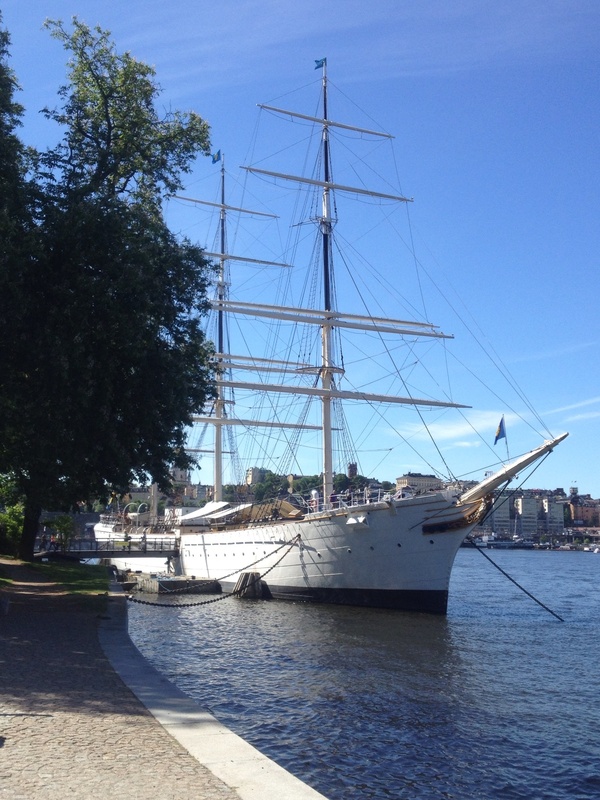 My second day in Stockholm had substantially better weather, clear blue skies and wam, invigorating sunshine. 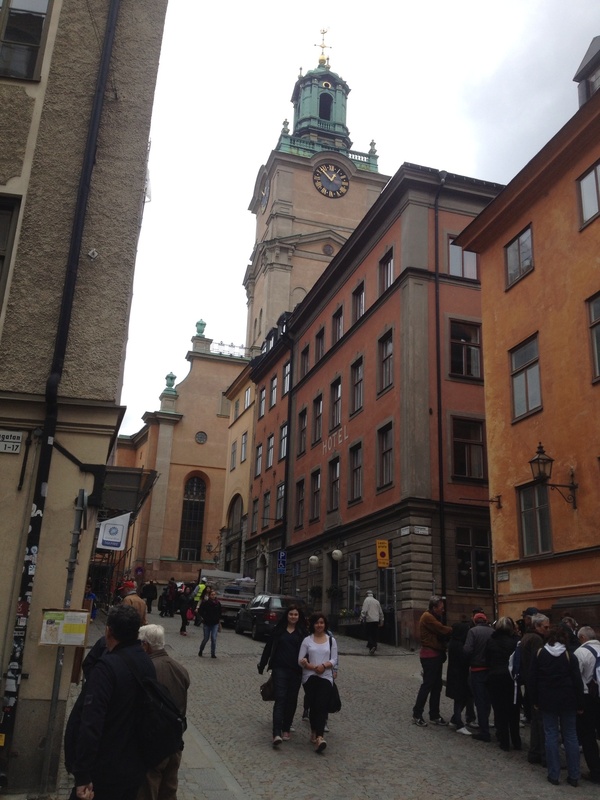 I set out into the bright morning to explore Gamla Stan, the Old Town of Stockholm. It was a tiny, charming area of the city, with narrow cobbled streets that were sloping in all directions, with some so steep I was actually a little out of breath after climbing them. This was the picturesque Stockholm that looked like it could have been lifted out of a fairy tale, or a children’s storybook. I wandered around the narrow roads until I got to the palace, where I had arrived just in time for the changing of the guard. 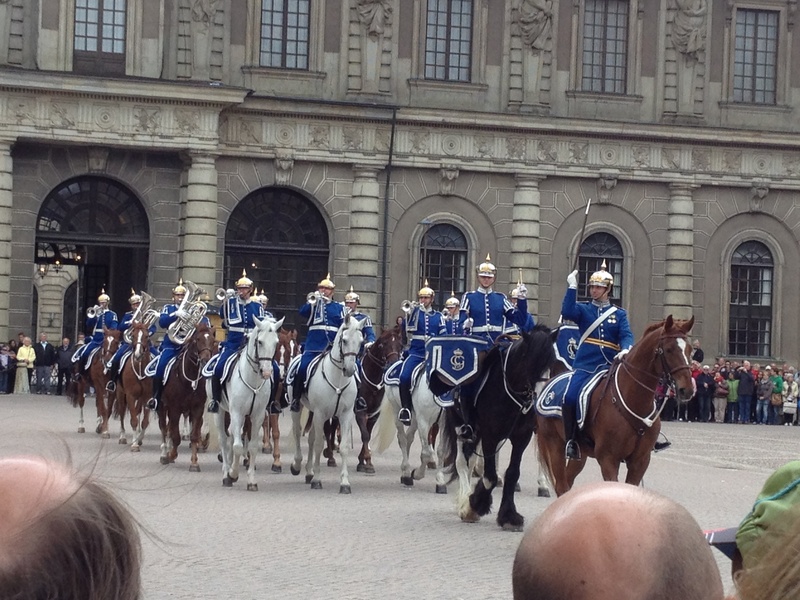 A whole bunch of Swedish soldiers marched out of the main courtyard, half of them comprising a marching band on horseback, while another set of guards moved in to take their place. I joined the throng of tourists that had gathered to watch, thoroughly impressed by the ability to play their instruments on horseback, more than anything else. The main palace in Gamla Stan. The horseback band at the Changing of the Guard. The charming little streets of Gamla Stan. There were lots of sightseeing tours in Stockholm, most of them by boat. It seemed like the most obvious and easiest way to see the city, dissected as it was over and over again by the multiple canals, but as I examined the list of tours and respective prices, I couldn’t help but feel it was such a grossly touristic thing to do, not to mention they seemed far too overpriced. So instead I spent my afternoon on an island called Skansen. All the islands of Stockholm are joined by bridges, so I strolled through the more modern streets of the city until I reached Skansen, an island almost completely made up of greenery: forests and parks and grassy clearings and trails through the woods. There was even a theme park with a few rides, but I had a more leisurely afternoon in mind. Everywhere there were people exercising, going for their afternoon and evening runs, and I followed along the roads that ran along the outside of the huge island, stopping to admire some of the statues along the way, before turning inland and hiking off a short way up into the hills. It was like a slice of natural heaven, completely isolated, right in the middle of the city. You would never have guessed it though – there was only the faintest sounds of the city in the distance, so quite that you really had to strain your ears to even notice them. 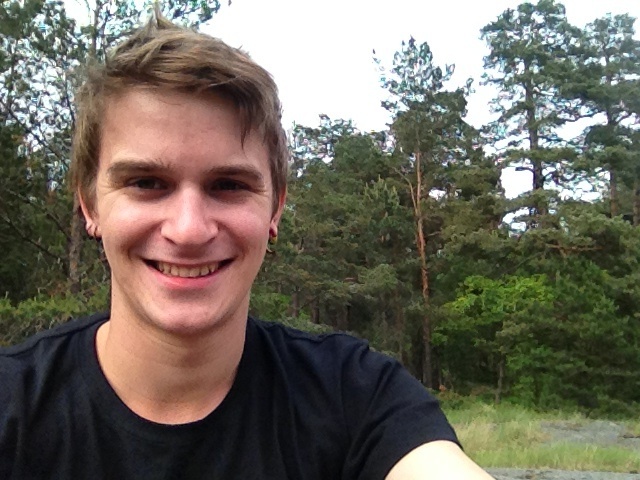 I found a sunny clearing at the top of one the hills, and took a break to sit down and work on my blog. There’s something about that kind of natural environment that really gets the creative juices flowing. Or maybe I was just so far from any kind of distraction – it’s hard to be sure. 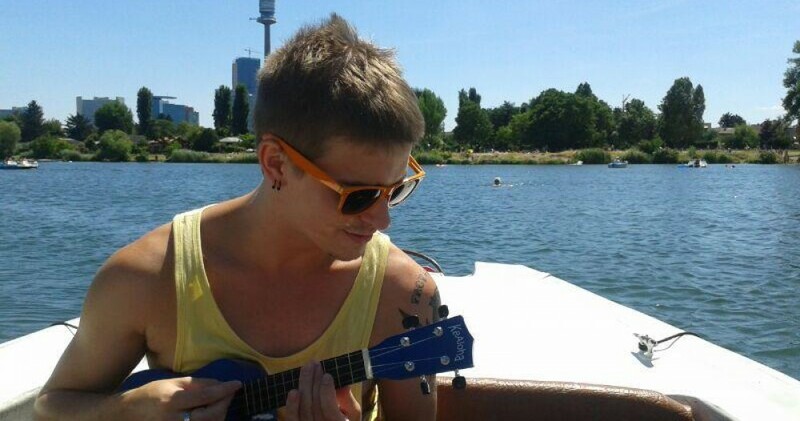 All I know is that I spent a long time hanging out on that island. It was as though the weather was trying to make up for the unusually long and cold winter, and I was more than happy to enjoy the penance it was paying. 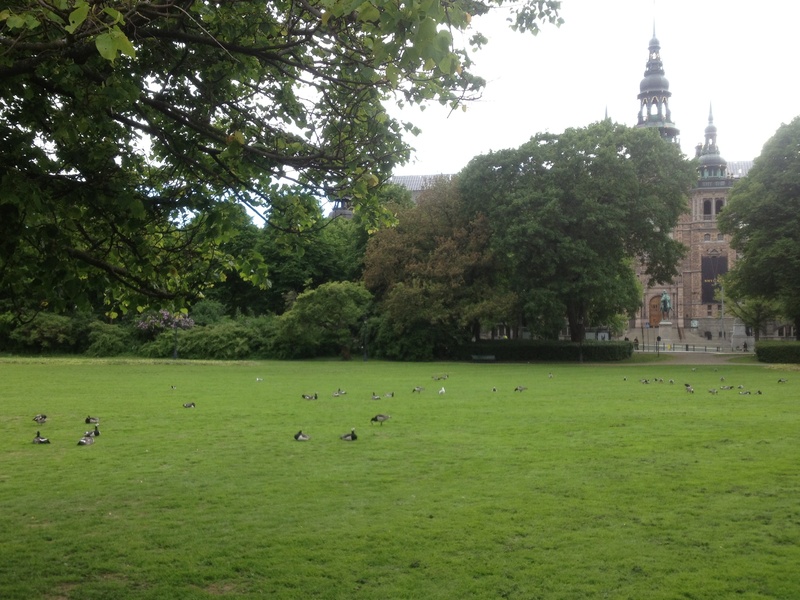 One of the grassy areas on Skansen. 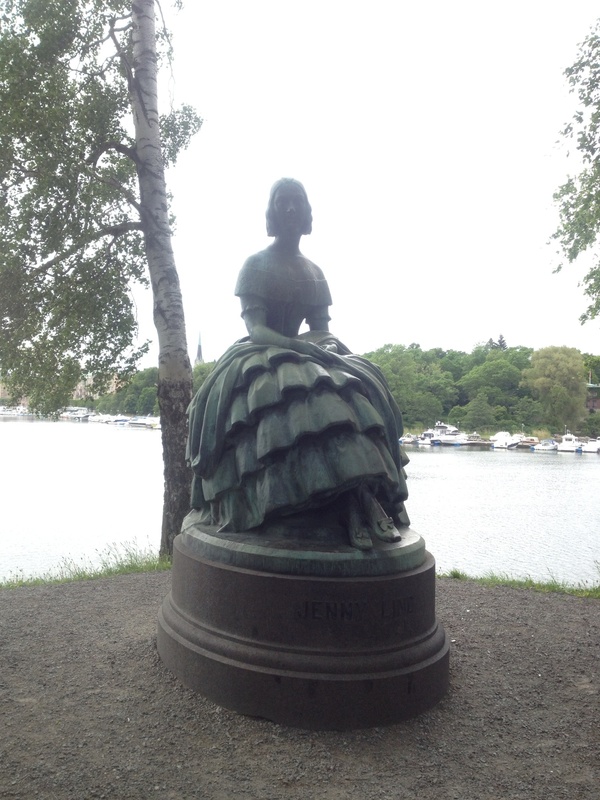 One of the Skansen statues along the river side. 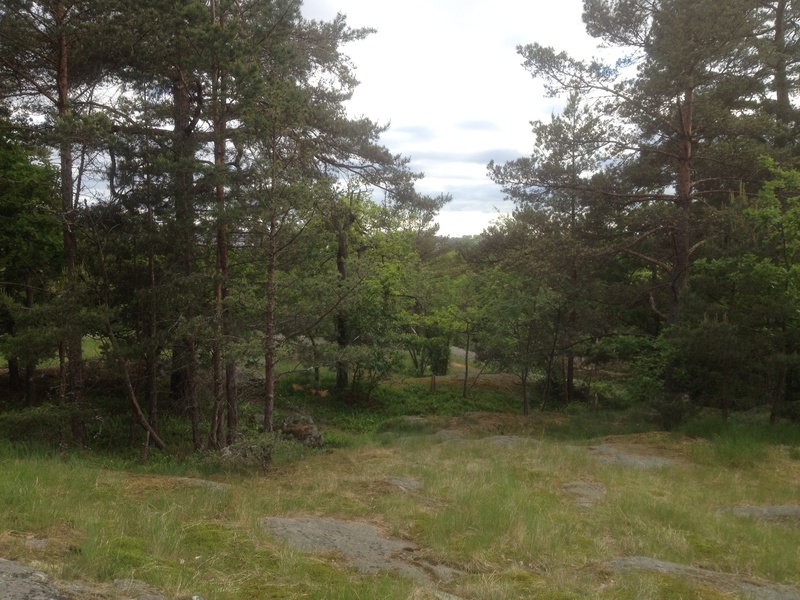 One of the more isolate parts of Skansen, were I took some time to myself. It’s hard to really say what I did with my nights in Stockholm, because there was really so little of them. I’d spent longer than I’d realised on my first night pouring over maps and timetables, trying to get a better idea of where I was going in Europe and when I would be there, to potentially avoid some of the anxieties I’d had upon arriving here. When I decided it was time to start thinking about dinner – I’d assumed it was approaching six o’clock – I was shocked to see that it was already well after nine. The days were so long that I was literally forgetting to eat. I was there during for a Monday and Tuesday evening, so I decided to give checking out the nightlife a miss – it would probably be, yet again, very expensive, and to be honest the city wasn’t really inspiring a party mood in me. I hung around the hostel and chatted to a few travellers – a few nice and friendly people, a couple of shy and quiet ones, but no one of particular note, or anyone I attempted to stay in contact with. I guess I spent a lot of time on my own, reflecting on how far I’d come on my journey, and how it was really only a fraction of how far I still had to go. After the close confines of the Trans-Siberian the solitude still felt like something of a luxury, though I knew sooner or later I was going to get sick of being alone. But Stockholm had definitely been a suitable city for solitude and contemplation – the gentle and non-confronting beauty was the perfect background for being alone with my thoughts.